Springtime in Sardinia! 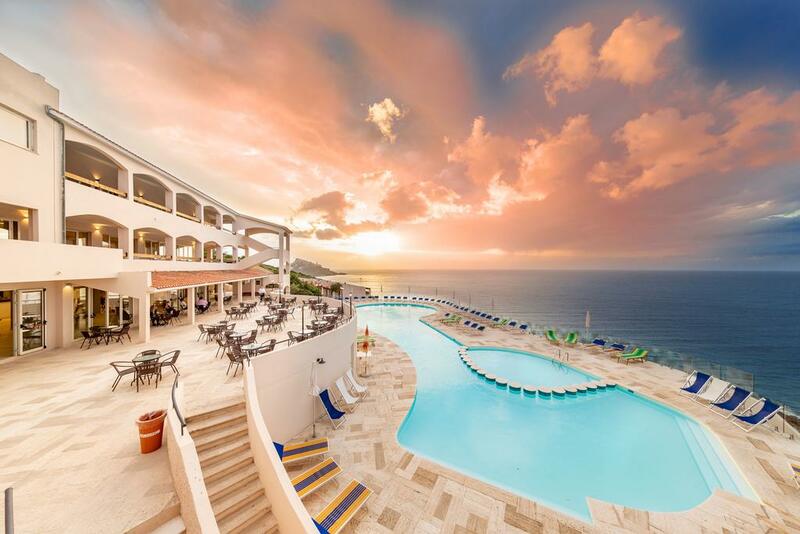 Get advantage of these discounted fares and stay in well-rated 4-star holiday village for just €11.5/night per person! Archipelago la Maddalena National Park, consisting of over 60 islands and islets, remains a haven for wildlife. It offers natural scenery of outstanding beauty, characterized by the presence of over 50 endemic species. Parco Nazionale dell’Asinara, located on the island that faces the north-west tip of Sardinia, boasts lush Mediterranean vegetation. You'll find there splendid sea, spectacular coves and white donkeys. The marine life is also varied and extensive. Head towards the San Teodoro lagoon to see pink flamingos or explore one of the Protected Marine Areas. Pay a visit to Capo Carbonara with its granitic rocks and shipwrecks, or admire beautiful views at Tavolara and Capo Coda Cavallo. or Lonely Planet online shop >>. 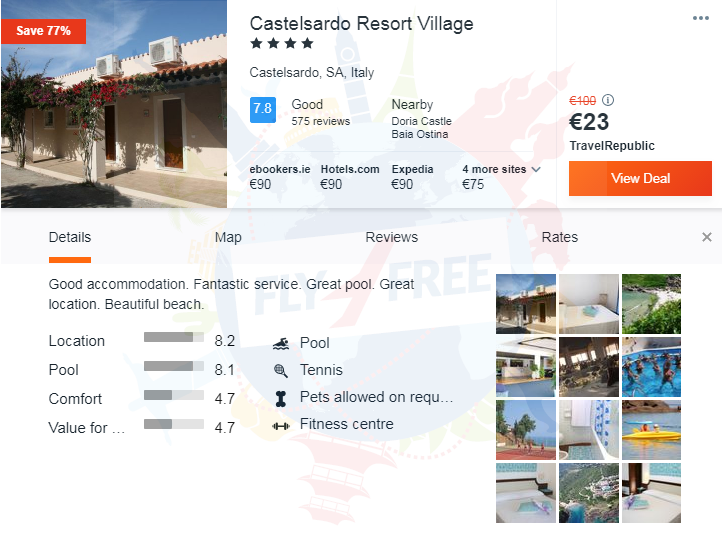 We picked for you the very well-rated 4* Castelsardo Resort Village . This property offers sea views rooms, an outdoor pool and sports facilties; it is located just 100 m from the Cala Ostina bay in northern Sardinia and offers a free beach shuttle. The units are set in independent bungalows equipped with air conditioning, a TV, minibar and private balcony.